It happens. A kid gets sick. Your car breaks down. You are suddenly called to go out of town. The flu wraps its icy fingers around you. You need a sub. As a music teacher, I can't always count on getting a musical substitute teacher. Actually I have only rarely had a sub that was comfortable doing musical activities like singing, dancing or playing instruments. 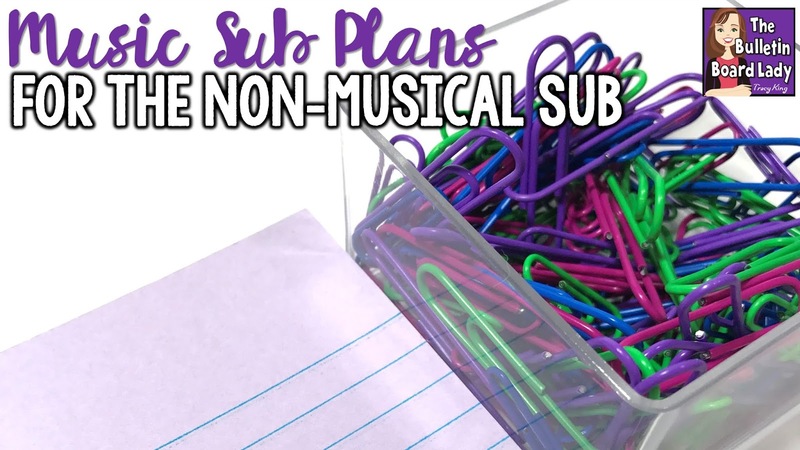 Due to this fact, I have created a sub tub with activities that even a non-musical sub would be comfortable teaching. Procedures for emergencies. If your school uses code words or special signals, be sure to include those in your plans. Instructions for using technology in your room and any passwords that they will need. A list of helpful teachers and where to find them. A picture or drawing of how you set your room up. An explanation of how to follow your emergency plans if no other plans are left. General rules for the music room. I have flexible seating choices in my room but I only use them for workstations or movie days, so I want to let them know how I use them. Change for the soda machine. This is the first thing a guest teacher to my classroom needs to read to get acquainted with the music room and how their day will go. The sub plan binder also contains several different lesson plans for each grade. These plans include a list of what they will need, where it is, what to do and a tracking sheet that I ask them to fill out so that I know what they have done and with which classes. Keep reading to find out how to get these starter files for free! When I return from an absence I can quickly browse through the binder and see what students have done. 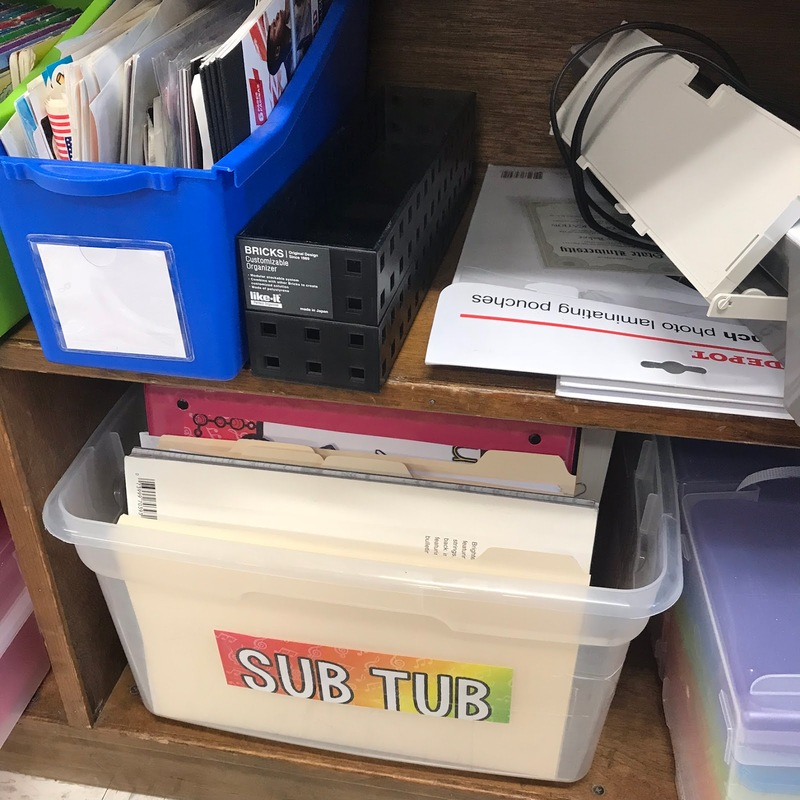 The binder refers to materials in the sub tub. 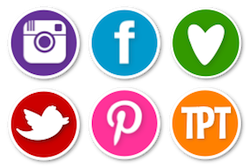 These materials are either videos (some with worksheets, some without), worksheets or activities with children's books. I'm not a big fan of worksheets, but they do have their purpose and place in music class. For substitute teachers they are often a familiar and comfortable activity that they can be successful with. 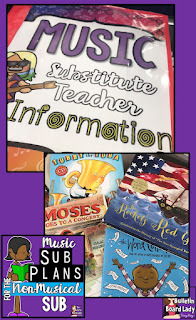 In my sub tub I use worksheets that reinforce skills we are constantly working on like note values, pitch names, composition and instrument identification and classification. Like many elementary music teachers I LOVE teaching with children's picture books. I have dozens of books that I use regularly and some that work really well with substitute teacher lesson plans. This is such a fun story! I have students complete a writing prompt that asks them to draw and write about an instrument they might like to play. This book is also a great time to talk about onomatopoeias so we take time to write down some musical onomatopoeias. This book is relatively new to my collection. It's a delightful story about a boy who collects words. After the story, students go on a word hunt around the music room to collect words. This is also a great time to use some of the syllable search worksheets from my worksheet collections. This is such a wonderful story! In recent years I have stopped showing the movie very often. It feels like it is 4 hours long. The book, however, is delightful and not four hours long. Subs love this lesson too! After the story, I leave some discussion questions and a color the orchestra worksheet (color by instrument family) and a word search. Another sub favorite is Moses Goes to a Concert. This book talks about the experiences of a deaf student that goes to hear an orchestra perform. The percussionist in the orchestra is also deaf and helps the students experience the music through vibrations. With this book I leave a listening comprehension worksheet and a copy of the ASL alphabet. After the worksheet questions have been answered and discussed, students can use the alphabet sheet to practice their names. There are also TONS of YouTube videos of people signing popular songs that students love to watch. 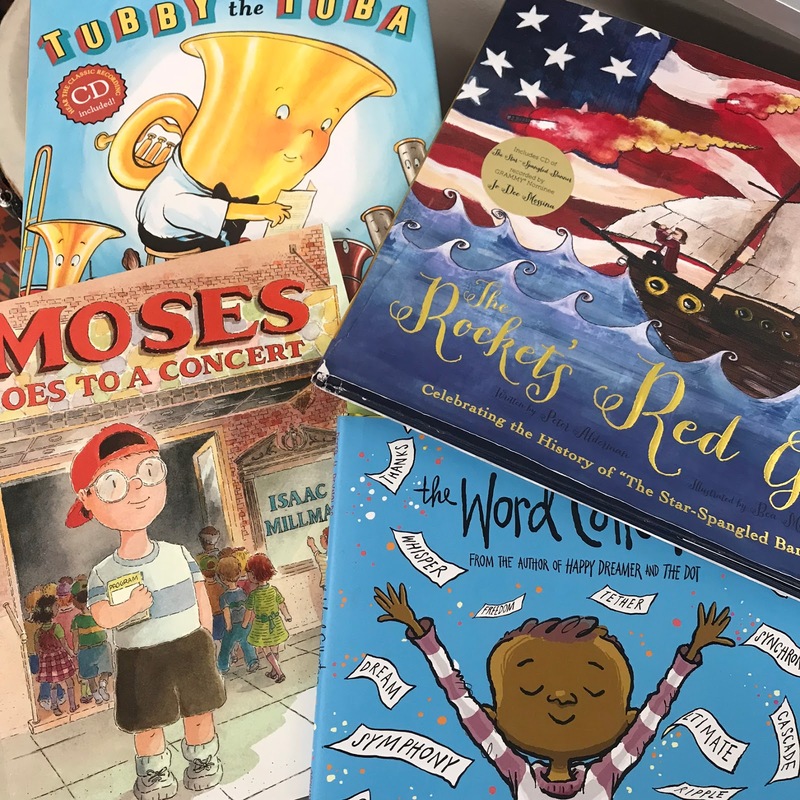 This book tells the story of the "Star-Spangled Banner". Although there are several books out there, this one has such beautiful illustrations that it is quickly becoming my favorite. For sub plans, I have the teacher read the book, discuss the etiquette that we should display during the national anthem and then listen to the version that comes with the book. After that, students receive sheets that are mostly blank with the exception of one of the phrases of the the "Star-Spangled Banner". Students are then challenged to illustrate their phrase. When they are finished it makes a beautiful display for the hallway or a bulletin board. 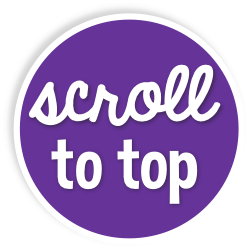 You might also like to watch this replay of a Facebook Live video where I take you on a tour of my sub binder and sub tub resources. Like these ideas? PIN them for later!